Links to our club night programmes will be posted here as soon as they're available prior to each club night. 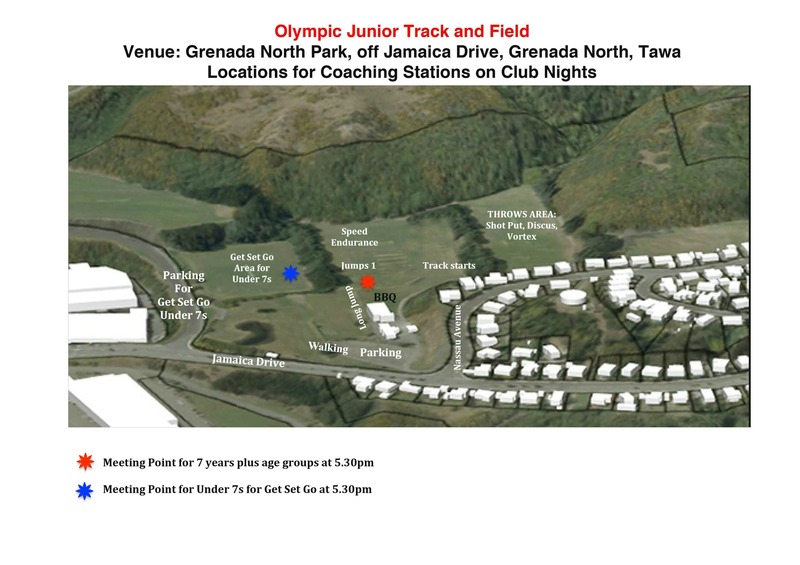 Monday 18 February 2019: Here Note 800m will be run at the end of the night for some of the age groups for our club champs. Monday 11 March 2019: no set programme, the night will be fun relays and throwing games, at the end of the night there will be a lollie scrabble. Adults are encouraged to join in in the games! We run our club champs over the last two interclubs at Newtown Park in March 2019. Details will be sent out to all members for the 2018/19 club champs. Each year we hold a prizegiving at the end of the season. This will be held on 8th April 2019 at the Johnsonville Rugby Clubrooms, Helston Road Johnsonville, 6-8pm.